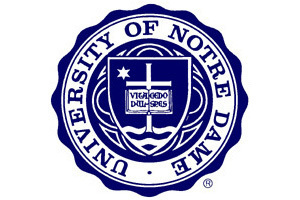 Two new Fellows of the University of Notre Dame and five new members of the Board of Trustees were elected at the Board’s spring meetings May 4 and 5. Two current Trustees – Scott Cowen and Bishop Daniel Jenky, C.S.C. – were elected to emeritus status. Martin Rodgers and Rev. John “Jack” Ryan, C.S.C., have been elected Fellows of the University. A member of the Board since 2014, Rodgers leads Accenture’s work in metro Washington, D.C., and is a managing director in its health and public service practice. He is a Notre Dame graduate with a bachelor’s degree in economics and an MBA from Harvard. From 1993 to 1996, Rodgers served as a recent graduate Trustee. The president of King’s College in Wilkes-Barre, Pennsylvania, since 2011, Father Ryan was ordained a priest of the Congregation of Holy Cross, the University’s founding order, in 1990. A graduate of Wilkes College, Father Ryan holds an MBA from St. Joseph’s University, a master of divinity degree from the University of Toronto and a doctorate in business administration from Temple University. He was elected as a Trustee in 2016. The 12 Fellows – six lay men and women and six priests of the Congregation of Holy Cross – are the University’s ultimate governing body. They elect the Trustees, adopt and amend the bylaws and are specifically charged with maintaining Notre Dame’s Catholic character. The five new Board members are Rev. Paul V. Kollman, C.S.C., Danielle Walker Merfeld, John B. Veihmeyer and recent graduates Olaf Rodriguez and Elizabeth Tucker. Father Kollman is an associate professor of theology and has served as executive director of the Center for Social Concerns at Notre Dame since 2012. A Holy Cross priest, he earned his doctoral degree in the history of religions from the University of Chicago, and a bachelor’s degree in theology and history and a master of divinity degree from Notre Dame. His scholarship focuses on African Christianity, mission history and world Christianity, and he has taught in Uganda and Kenya, and carried out research in Tanzania, Nigeria and South Africa. He is a fellow of the Kellogg, Kroc and Nanovic Institutes at Notre Dame and currently is president of the International Association of Mission Studies and the American Society of Missiology. Merfeld is the vice president of GE’s Research Headquarters in upstate New York and leads GE’s silicon carbide and edge controls breakout technology efforts. She also directs the electronics organization, a global team of scientists and engineers responsible for advanced technology development in the areas of semiconductor devices and packaging and signal electronics. She is the co-leader of the GE Women’s Network. A graduate of Notre Dame with a doctoral degree from Northwestern University, Merfeld has served on Notre Dame’s Graduate Studies and Research Advisory Council. Veihmeyer is the global chairman of KPMG International, and previously served in numerous leadership roles with the firm, including U.S. chairman and chief executive officer, U.S. deputy chairman, managing partner of the Washington, D.C., office, and global head of risk management and regulatory. An alumnus of Notre Dame, he has served on the advisory council for the Mendoza College of Business and also is a member of the Business Roundtable and the International Business Council of the World Economic Forum. In 2013, Veihmeyer was honored as “Responsible CEO of the Year” by Corporate Responsibility Magazine. Rodriguez and Tucker will fill the two designated seats for recent graduates on the Board, replacing Robert Costa and Katie Washington, who will complete their terms July 1. Rodriguez is a 2014 alumnus of the University with a degree in biological sciences and a second major in theology. Originally from McAllen, Texas, he is the first in his family to attend college. He currently is a medical student in the Perelman School of Medicine at the University of Pennsylvania. Tucker earned a bachelor’s degree in accountancy from Notre Dame in 2014 and is a consultant for McKinsey & Company. She is one of the most decorated student-athletes in the University’s history, capped by her selection in 2014 as NCAA Woman of the Year – the first from Notre Dame and the first women’s soccer player from any university. Cowen, a member of Notre Dame’s Board since 2012, is president emeritus of Tulane University. Bishop Jenky, elected as a Fellow and a Trustee in 2003, is the bishop of Peoria, Illinois. Also joining the Board in an ex officio capacity as the president-elect of the Alumni Association is Chris Simms, a 1988 graduate from Concord, North Carolina. Originally published by Dennis Brown at news.nd.edu on May 05, 2017.